Hippocrates, the father of modern medicine, said that food is medicine. Herbs are a form of food that is packed with healing nutrition. 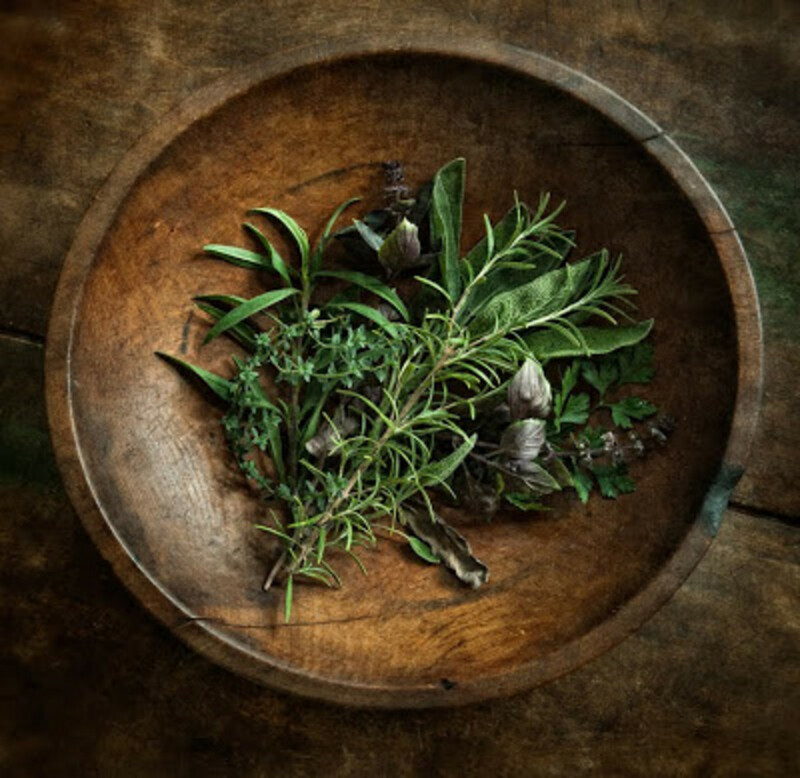 Until the past few centuries, the following herbs, and others like them, were the only medicines available. This article is not intended as medical advice. 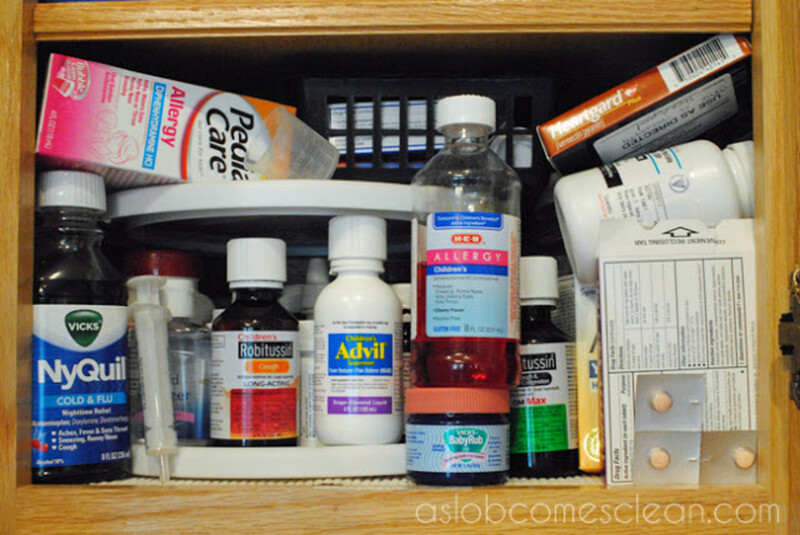 Always speak to a medical professional before using these or any herbal medical treatments. However, adding small amounts these herbs to food and drink for added flavor or nutritional value may have provide the added benefit of reducing pain and inflammation. Cayenne peppers also fight inflammation in the body. They contain capsaicin which inhibits P. neuropeptide which is linked to the inflammatory process. Just two teaspoons of powdered cayenne pepper delivers at least 30 percent of the recommended daily requirement of vitamin A. It also provides vitamins E, C, K and B6. Some studies with animals indicate that cayenne pepper may delay the formation of arthritis. 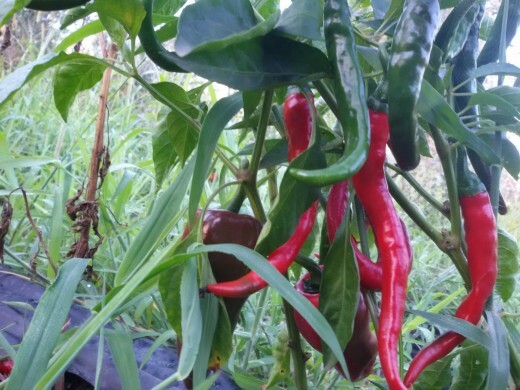 Cayenne peppers can be started in the house or the plants bought at a nursery and then planted in the garden when all danger of frost has passed. Cayenne peppers in the tropics are perennials, however, in temperate climates, peppers are annuals. Used ginger in several Asian culinary dishes and in baking,ginger is a popular spice. It is a delicious additive to stir fries and other dishes with fruits or vegetables, and adds aromatic and spicy savor. Ginger, however, is also popular these because of the chemical gingerols. 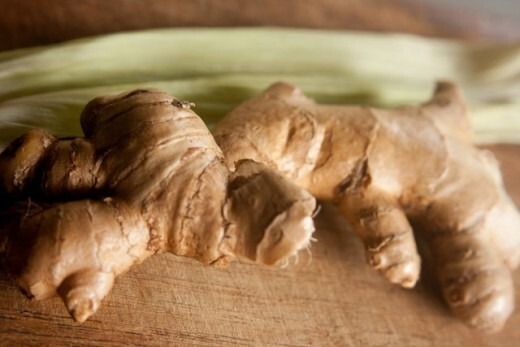 Gingerols is unique to ginger providing its anti-inflammatory effects. Proponents claim that it is especially effective in treating rheumatoid and osteoarthritis. Clinical studies agree. During clinical studies, individuals who have increased ginger in their diet found their pain levels decreased and range of motion increased in the affected joints. Gingerol protects the body from free radicals. It thwarts the production of nitric oxide in the affected tissues. Nitric oxide is a precursor of peroxynitrite, a very damaging type of free radical. Ginger also has the properties that block the formation of cytokines and chemokines, compounds that initiate inflammation in the body. Grown from rootstock, ginger can be a very invasive plant if planted in the garden, so it is wise to plant it in a large pot buried in the ground to prevent it from spreading. Ginger is a perennial. Aloe Vera is commonly known for its ability to sooth burns and heal wounds, but did you know that aloe vera is also an effective anti-inflammatory agent? It reduces pain and inflammation faster than silver sulfadiazine (commonly known as silvadine). Aloe vera gets its anti-inflammatory properties from a chemical compound called anthraquinones. Aloe Vera is a succulent and can be easily grown as a houseplant. It is a perennial as long as not left outside and allowed exposure to freezing weather. Licorice also delivers anti-inflammatory effects on the body. Cyclooxygenase and lipooxygenase are the main enzymes that initiate inflammation and licorice stops those chemicals from activating. Licorice also initiates the body’s anti-inflammatory response. This is why several medications use licorice particularly black licorice as one of their ingredients. Licorice can be grown from seed, bought at a nursery, and planted in the greenhouse or directly into the garden. Licorice is grown from roots and grows into a shrub. 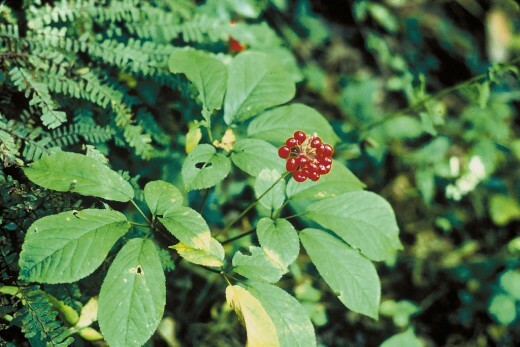 Ginseng is a popular Chinese medicine herb. Modern researchers have verified the anti-inflammatory properties of ginseng. Ginseng contains ginsenosides, substances which suppress the activities of the immune system, thereby inhibiting inflammatory responses. Growing your own ginseng can be done, but to do so is labor intensive, takes special skill, and requires a lot of patience because it takes several years and special cultivation before you see results. Ginseng once established is a perennial that will come back year after year as long as the right growing conditions exist. Today the Mediterranean diet is a favorite for many and a popular herb in both Mediterranean and Mexican cuisines is oregano. Oregano provides balsamic and aromatic flavor, and is popular for providing necessary body nutrients. Two teaspoon of oregano has almost 30 percent of the required daily allowance for vitamin K. In addition, oregano’s phytonutrients rosmarinic acid and thymol, have antioxidant and anti-inflammatory effects. Theses anti-inflammatory effects are weaker than hydrocortisone. However, the antioxidant properties of oregano can actually prevent disease caused by inflammation, making oregano an effective anti-inflammatory herb. Oregano can be grown from seed or bought from a nursery. The seeds can be planted in a greenhouse or seeded directly into the garden. If grown in the south is a perennial, but up north grows as a garden annual or an indoor potted plant. Turmeric with its deep yellow hue is another name for Indian saffron and is a popular mainstay when making curry. It is rich in nutrients. Two teaspoons of turmeric provides 17 percent of the required daily value pf manganese, 10 percent of iron and 4 percent of vitamin B6. Turmeric has long been known for its potent anti-inflammatory properties. The yellow color in turmeric comes from curcumin, and curcumin is comparable to hydrocortisone or phenylbutazone, chemical substance in its anti-inflammatory effects. Turmeric is affective for many on individuals in the relief of inflammatory bowel diseases, arthritis and cancer, because of its antioxidant properties. Turmeric is usually grown in hot, humid climates of hardiness zone 9 or higher therefore cannot be grown in year round in temperate climates. It can, however, be grown in the summer in cooler climates and dug up and brough inside in the winter or grown in containers year round. I have been throwing ginger in my juicer daily and I use turmeric when I can find it. I'll have to try the others out! I am glad to share these with you MarleneB! I happen to grow many of these herbs in my back yard. I did not know of their medicinal value until now. Thank you for such wonderful information. I live in hardiness zone 9 and now after reading your hub, I'm thinking of adding turmeric to my list of herbs this year. Great information. We use all of these barring ginseng in our daily food preparation and it does heal and prevent inflammations. You are welcome vespawoolf! Ginseng is one of my favorite herbs. I didn't realize that ginseng belongs on this list. This is very useful information. Thanks! I am glad to be of service, travmaj! Most interesting and I am definitely in the market for growing and using herbs medicinally and for preventative measures. I have a thriving Aloe Vera plant. Most interested in Tumeric and hadn't realised the healing properties of Ginger. Thank you for this information. I am going to have to include oregano more often in my meals. Thanks for sharing this valuable information. Thank you for your comments, Rosalyn Winters. And some mushrooms are okay for some people, but deadly for other people. 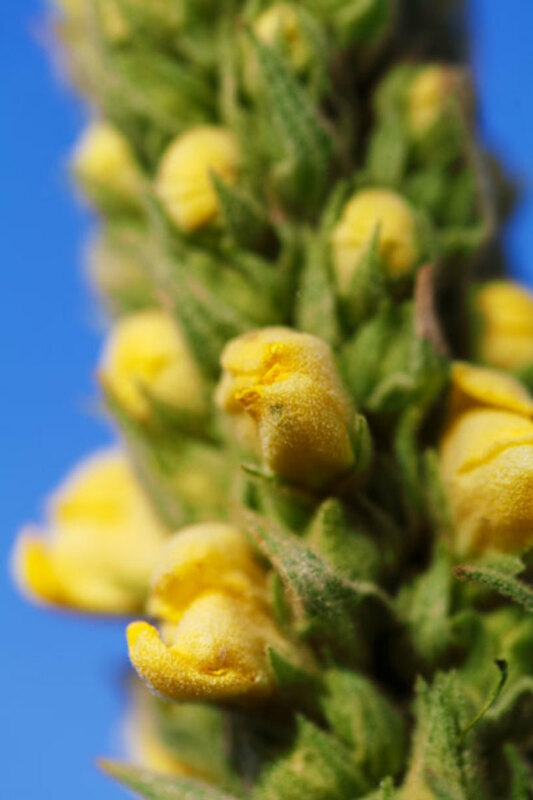 Allergies can come in numerous forms as well. Its important to know what your own body can handle and what it cannot. But if you are dead from a fatal heart arrhythmia from low potassium, doctors cannot help. Nonetheless, I do agree that organic (herbal, from nature) versions of drugs can be better--but use needs to be researched and informed, and with the Internet, we have a fantastic tool to do so. I don't recommend using herbs without doing some homework first (for interactions, side effects, possible allergic reactions (for example those herbs in the ragweed category, etc.). I like to cover a number of sites-- starting with the big players like Mayo Clinic, PubMed, WebMD and the National Institute of Health, check out scholarly studies as well as blogs for incidental information and check with your physician, just to be safe. Some herbs are pretty benign, but some herbs are powerful medicine that, like synthetic drugs, will interact with other herbs and drugs. Plants can also be poisonous--so just because something is from a plant doesn't necessarily make it safe. Many mushrooms are very good for you, but some will kill you. I agree most of the time, natural is better. I think organic is almost always better. The doctors are there if the organic thing is no working for you. I think you make a very good point, Rozalyn. Just because something is natural, does not mean that it is completely safe for everyone. Like you said, some people may not be able to use a specific herb because of medical issues. Also, just because something is natural, does not mean that someone might not be allergic to it. As with everything, it is never wise to go whole hog on anything. Start with a little and always use herbals in moderation. Strangely, commercially made licorice candy in the U.S., is typically made using anise, rather than licorice, the herb; which makes one wonder why they call it licorice, if it contains no licorice. If the candy that makes you ill actually contains the herb, then perhaps. Otherwise, it could be a reaction to anise. Licorice that has not been deglycyrrhizinated can cause these side effects says Seth Schonwald, MD, FACEP, attending Physician, Department of Emergency Medicine, Boston Veterans Affairs Medical Center (from Medscape): fatigue, muscle cramping, dark urine (from destruction of muscle tissue), weakness (from low potassium), frequent urination, edema (swelling), shortness of breath (from water retention in the lungs), headache (related to high blood pressure), burning sensations of extremities, impotence, diminished libido and missed menstrual periods. So, I wanted to make a quick mention of this (sorry to be a pain, Cygnet), primarily, because people with heart conditions could be at risk using the herb. From my own reading about it (I had considered using licorice at one time), I've learned that many cultures use it as a sweetener, etc., and nothing happens, but occasionally, something does. So... I'd want to err on the side of caution and use deglycyrrhizinated licorice. But if I had a heart condition, I wouldn't use licorice at all, because the potential risk (even if slight) would outweigh the potential benefit. @Rozalyn -- I have never been able to eat candy made from real licorice. After one bite, I start getting nauseous and it comes back up. Is that why? Great article -- I wanted to note that licorice contains a substance: Glycyrrhizin, which can cause hypertension and edema (water retention), so the herb is usually purchased in its deglycyrrhizinated state. I don't know if it is possible to do this process yourself, if you decide to grow it yourself... Something to look into, I guess. DGL is commonly found in any health food or supplement/vitamin store. Some people still use the organic version, however, even though it has side effects. Thanks, as always, Bill! I always appreciate your comments! MizBejabbers, yes, peppers are a tropical perennial so if they don't freeze they will keep growing. Nadine May, here ginger is like a weed. I'd send you some if it would make it through customs, but I'm sure that customs wouldn't allow it! This is a very good detailed description of some herbs used in or for natural medicines. I used to have two very large pots of aloe vera, but one winter animals started tunneling into our greenhouse and ate all the aloe vera and saffron crocuses. Ginger is very hardy and survived the ice and snow at my son’s house during our hard winter. I have found it to be very good for an upset stomach, too. Mr. B’s grandmother kept a large pepper hot bush and crushed the peppers to make a salve for her arthritic joints. Whatever it was, it survived the harsh winters of the Ozark Mountains. I tried rubbing the back of my neck and forehead with hot peppers or capsasin ointment for migraines, but the relief never lasted more than five minutes, if that long. I am allergic to chlorophyll and I deplore that can’t use most of the leafy herbs. I can stick to the roots like ginger. Voted up++ and shared. Excellent information my friend. We even have a couple growing, but I will add more of these. Thank you.